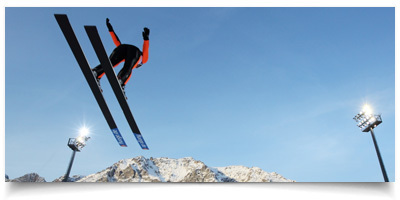 The Visa Women's Ski Jumping Team is the U.S. National Team. The top jumpers are named each fall to the National Team based upon criteria outlined by the current coaching staff and the National Governing Body for the sport — U.S. Ski and Snowboard Association. The top women ski jumpers in the U.S. are named each fall to the U.S. Women's Ski Jumping Team (National Team) based upon criteria from the previous season. The criteria is outlined by the current coaching staff in partnership with the National Governing Body for the sport--the U.S. Ski & Snowboard Association (USSA). Athletes must meet at least one criterion as indicated below to be named to one of the teams: the A, B, C, Development Team or Fly Girls Program. • U16 and no younger than 13. **Team selection criteria shall be principally performance-based, but additional athletes may be selected to the Team based on coaches’ discretion. All international events must have at least 30 competitors to be eligible for the criteria. 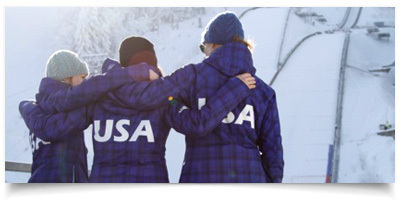 Athletes over the FIS junior age of 20 are required to meet one of the C TEAM (COC) criteria. All athletes are eligible to ski at any level no matter team designation based on outstanding improvement and performance and invited by the program's Head Coach.